So I have these tiny bumps all over my forehead. A little pit of a back story. I have had clear skin for most my life. I am 19 years old I started working out about 3 months ago. I was on weigh protein. The protein (from what I think) made zits appear on my jaw line. I started applying face washes and srubs to clear the acne. After about 2 month I sort have got it under control. 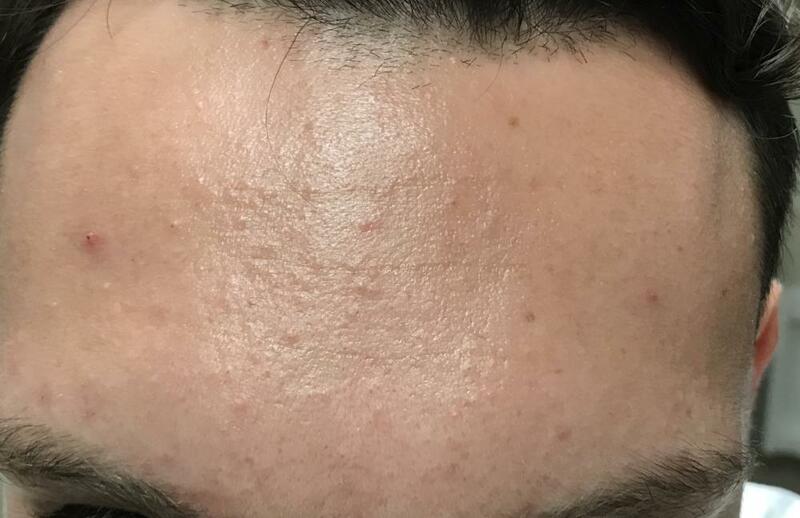 About 2 weeks ago, I developed these tiny bumps all over my head. I don’t know if it’s from the gym, because that’s where I thought the ance came from other than the protein. Or I thought they old be from clogged pores tom even acne wash. 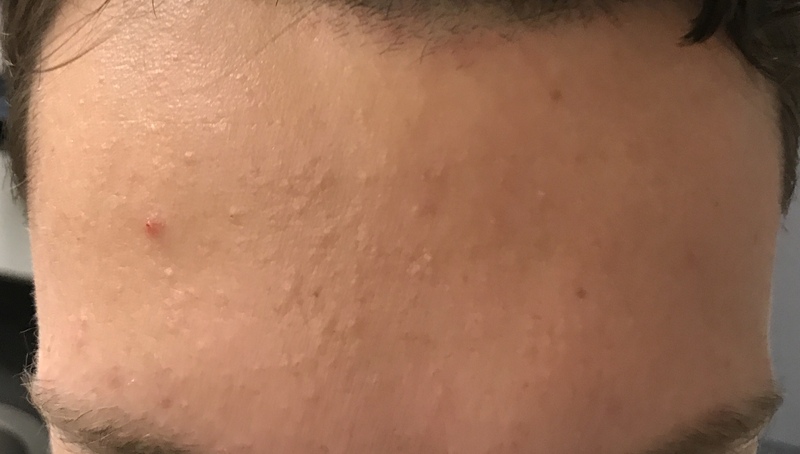 They are ichty and my dermatologist told me they are clogged pores. They are the worst above my eyebrows. I started using Nizoral 1% for about 5 days now. I have not seen any noticeable difference which scares me. Also my skin gets super try after a shower and by the middle of the day, my forehead is super greasy. Should I be cleaning that grease off? Should I stick with nizoral? What do the bumps look like to people who have had it? They look worse in person I think. There would be none to very little harm getting yourself to the dr anc getting a course of oral anti biotics.they will either help and clear it up but i cant see them making the condition worse,if the condition clears with iral anti biotics then it was bacterial. lymecycline come to mind as an option. It’s not acne I don’t think. The anti Biotics would help? I thought it was yeast because I have been eating subway like everyday for 4 months. No antibiotics would not help, since what you have is not infected.